UNI Football Teamp Camp provides your team the resources and facilites you need to get the season started on the right track. Come compete against other school from across the Midwest as you get closer to training camp for your 2019 season. Registration fees cover overnight stay in UNI dorm room as well as all you can eat meals at on campus dining hall. Practice sessions, scrimmages, and all competitions will be held inside the UNI-Dome and on full size practice fields located on site. Meeting space for coaches and teams available upon request. 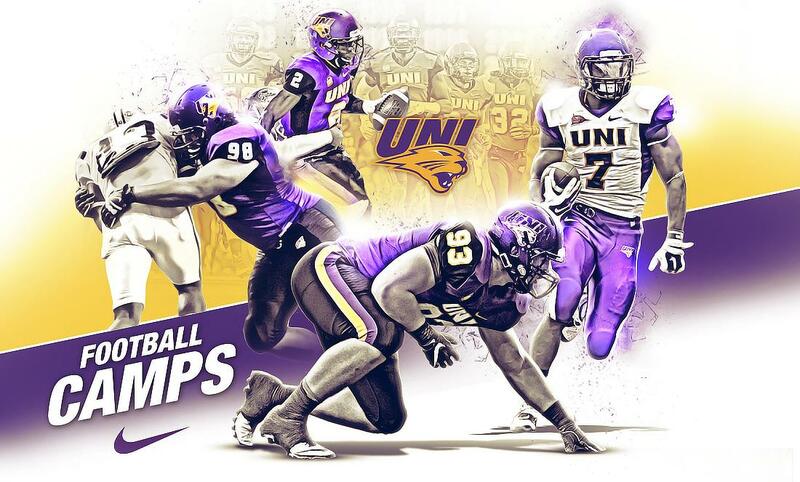 Please contact Nick Danielson Nicholas.Danielson@uni.edu with any questions regarding camp. *Mark Farley Football Camps are open to any and all entrants (limited only by number, age, and/or grade level).